Ten years ago, on the second Sunday in June, the critically acclaimed and universally revered HBO series The Sopranos came to a dramatic, memorable, and somewhat confusing conclusion when it’s finale episode “Made In America” aired. Even though I was, at that time, just fifteen years old, a relatively relaxed TV policy in the Giuliano household allowed The Sopranos to become my favorite television show. Nearly 12 million Americans watched the finale of The Sopranos live. That’s more than any other HBO program ever, even current HBO powerhouse Game of Thrones, which topped out at 8.9 million viewers for it’s Season 6 finale. It’s roughly triple the number of people who watched the finale of season one of HBO’s True Detective and 2 million more viewers than the series finale of Breaking Bad. It’s also 3 million more viewers Game 2 of the 2007 NBA Finals. I was one of those 8.5 million people watching Game 2 of the 2007 NBA Finals, which is one of the three lowest rated NBA Finals games in league history. I suspect this is partly because the series was viewed as a sure-thing; the well-coached, well-disciplined and superiorly talented San Antonio Spurs were marching towards their third NBA Championship in five years and they were facing the young and overwhelmed Cleveland Cavaliers, led by a 22-year old phenom named LeBron James. As expected, the Spurs swept the Cavaliers in a mostly unremarkable Finals series. Again, this is a relevant point to mention because Game 2 of the 2007 NBA Finals was broadcast on the same night that the opposite-of-unremarkable series finale of The Sopranos was broadcast. This is a roundabout way of saying that I did not watch the “Made In America” live. She had seen a replay of the finale earlier in the day when I was at school (remember, this was prior to when nearly everyone on earth could DVR essentially any show they wanted to watch at a later time). Her excitement piqued my interest … what the hell could have happened? Who died? Who lived? Did Tony Soprano finally sleep with Dr. Melfi? Did the Russian that Paulie and Christopher took out to the woods in “Pine Barrens” come back? What the hell happened? I had so many questions, but I swore her to secrecy. I wanted to wait until 6 pm to get my answers. Well, if you’ve watched The Sopranos, or even if you just know about the final scene of “Made In America,” then you know that viewers who came in with hopes of one of those everything is resolved in the end finales were smacked in the face by one of the most polarizing final scenes in television history. Seemingly mid-scene, mid-Journey jam “Don’t Stop Believing” the screen cut to black and it was all over. Did the cable just go out? Hold on, is this how it ended last night too? Wait, does it come back on after the credits? Anyone who watched The Sopranos went through something like that whenever it was that they watched the finale. The initial reaction, as far as I can remember, was outrage. People wanted a clean, definitive, traditional ending, and that’s understandable to some degree. Even if it wasn’t the ending fans wanted, they wanted to see something conclusive, and in the moment, for some, it felt like The Sopranos creator David Chase didn’t give them anything conclusive at all. Then a few days went by and everyone became the highly-enlightened TV critic, lauding Chase for his open-ended final scene and how it was up to the viewer to interpret what those last five minutes truly meant. All it took was a few days and maybe a couple more views to gain a different perspective of the whole thing. Over time the fans of the show have become conspiracy theorists, diving deep into the particulars of the final episodes of the last season and the final scene especially. It has become such a frequent talking point that David Chase has had to address the meaning of the final scene a number of times since the finale aired. It’s still unclear exactly how to interpret what happened at Holsten’s, but if you have like, well, four hours to kill someday and you want to go down that rabbit hole, you should check out the Master of Sopranos explanation of the final scene and final season. My parents cancelled our HBO subscription shortly after The Sopranos went off air, so for quite some time the only real thought I had about the show was how it ended. Perhaps unfairly, the legacy of the show had, in my eyes, become the final diner scene. It’s really no wonder that this was the case; no television program that I had ever watched or knew of dared to conclude it’s final season with a cliff-hanger ending that is typically reserved for a mid-series season finale. It seemed inconceivable that arguably the greatest TV drama ever would risk marring its legacy with a final scene that was so inconclusive. Seven years after The Sopranos ended we moved into a gated community that offered HBO services to all residents for free. Shortly after we got settled in we watched the Pilot episode and worked our way through the entire series. We again watched “Made In America” together and again we wondered what happened to Tony Soprano and why David Chase decided to wrap things up in this fashion. And yes, we still wondered about the Russian too. Rather than letting another seven years go by before we watched again, we didn’t even wait seven days. We immediately re-started from Episode 1 and worked our way through six outstanding seasons again. After another viewing of “Made In America” we went right back to the Pilot and re-started the journey. We’ve done this probably six or seven times now (and let me tell you, my girlfriend still can’t get a firm grasp on what storylines occur in what season and who dies when, and this often leads to looks of confusion that are followed by “Hey, I thought he was dead!”) Whenever we have an hour to kill, or whenever there isn’t something new on television, we’ve gotten in the habit of putting on the next episode in line. Even if certain episodes have become nothing more than the cinematic equivalent of background music, re-watching the show in its entirety half a dozen times over the last three years has shaped my perception of the series as a whole in an overwhelmingly positive way. The Sopranos wasn’t as powerful as Breaking Bad, or as gripping as the early seasons of Lost, or as emotionally fulfilling as This Is Us has been through one season, but one definitive advantage The Sopranos has on every other great drama I’ve watched is that on an episode-to-episode and even scene-to-scene basis, no show has been more fun to watch than The Sopranos. This probably sounds like I’m ignoring some of particulars that made The Sopranos so great, like how the show always stayed true to character development, and how the short term story arcs were just as well executed as the long term ones that were established in the opening episodes of the series and carried out until the very end — like Tony attempting to find a balance between being both a family man and mob boss, all while struggling to come to grips with his own mortality …. Christopher’s desire to be a player in the movie business and how that impacted his standing in the Family … Carmela’s internal indecision in regards to how much she could tolerate Tony’s infidelity and the way he made a living. In every episode there were a steady stream of one-liners that kept you laughing, but there was also never a moment where it felt like the show lacked heart or drama. The show was brilliantly acted — in particular by the late James Gandolfini, his on-screen wife Edie Falco, and my Uncle Joe who did fantastic voice over work as a Horse Racing announcer in Season 6 episode “Chasing It” — expertly written and cleverly produced . The way David Chase was willing to take chances on and completely nail out-of-the-ordinary scenes/episodes like semi-frequent and all-too-realistic dream sequences and truly memorable montages (in particular those at the beginning of Season 2 and Season 6) speaks to how much confidence he had in what The Sopranos was able to establish early in its run. Of course, the greatest display of this confidence came when Chase penned and directed the final scene at the diner. Against all conventional wisdom and many years of clean, concise conclusions to TV dramas, Chase decided to zig where others had zagged, and it turns out that it paid off. 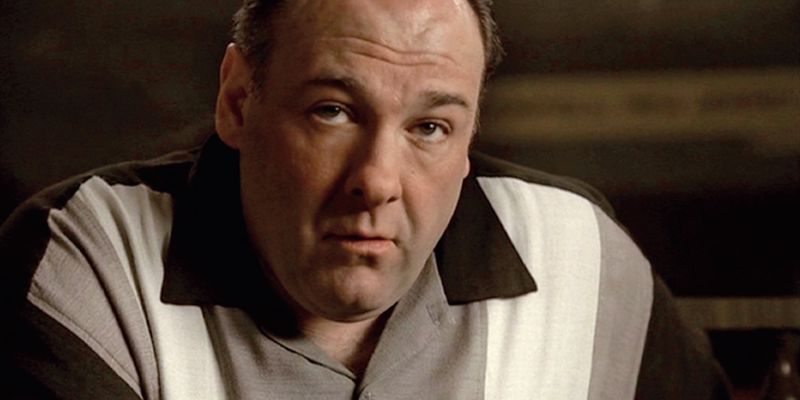 The debate about what happened to Tony Soprano after the screen cut to black will live on forever, and that means that The Sopranos will live on forever too, as it should.